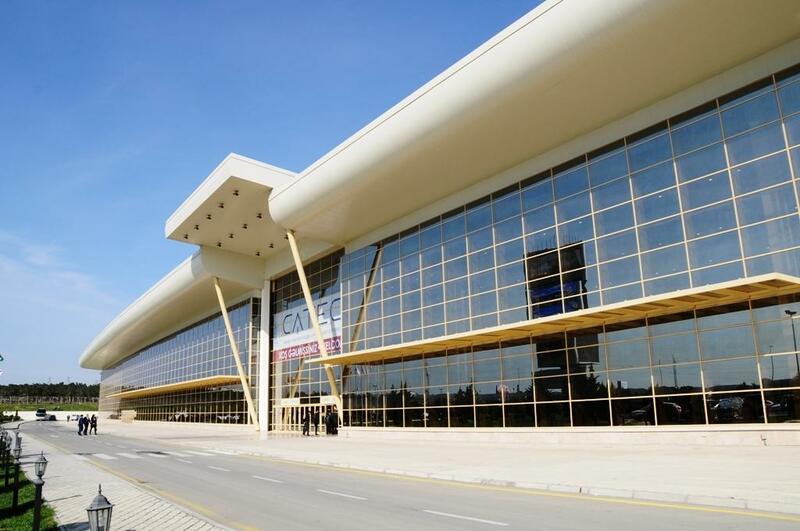 The 18th Azerbaijan International Travel & Tourism Fair, AITF 2019, will open its doors for visitors in Baku Expo Centre on April 4-6. By tradition, the exhibition will bring together representatives of the tourism market from various countries, as well as national and regional tourism organizations and government agencies. Press conference which is dedicated to the fair was held on April 3, Report informs. Head of Press Service of the State Agency for Tourism Kanan Guluzade made a speech at the event and noted that this year the fair will bring together representatives of the tourist market from various countries, national and regional tourist organizations and government agencies. “The development of tourism is live issue in the field of economic development of our country,” he stated. AITF will be held with the active support and participation of State Tourism Agency and Azerbaijan Tourism Board. The exhibition is also supported by Azerbaijan Tourism Association, National Confederation of The Entrepreneurs (Employers) Organizations of Azerbaijan Republic (AEC), Azerbaijan Export and Investment Promotion Foundation, Small and Medium Business Development Agency of the Republic of Azerbaijan. International institutions such as the World Tourism Organisation (UNWTO) and the Pacific Asia Travel Association (PATA) are also among the supporters of the exhibition. The exhibition is organised by Iteca Caspian. This year, national and regional representatives, travel agencies, airlines, hotel chains and health resorts will display their services at the exhibition. As in previous exhibitions, countries such as Belarus, Bulgaria, China, the Dominican Republic, Italy, Georgia, Morocco, Thailand and the Czech Republic will be participating with their national stands. Rogaški Slatina (Slovenia) will participate with the regional stand. It is noteworthy that Belarus and Thailand have already booked a larger exhibition space than they did last year. This year’s exhibition will be accompanied by a program of additional events. The organisers have created a business platform for B2B meetings, where representatives of local and foreign companies will have the opportunity to meet to discuss new avenues of cooperation and partnership. According to a decree by President Ilham Aliyev, the year 2019 has been declared the Year of Nasimi. This event will be reflected in the framework of the AITF. The organizers have decided to celebrate the event by organising "Journey to the history and work of Nasimi" thereby honouring the poet’s memory and introducing exhibition visitors to another feature in the rich culture of Azerbaijan.